Star of wonder, star of night, star of royal beauty bright. 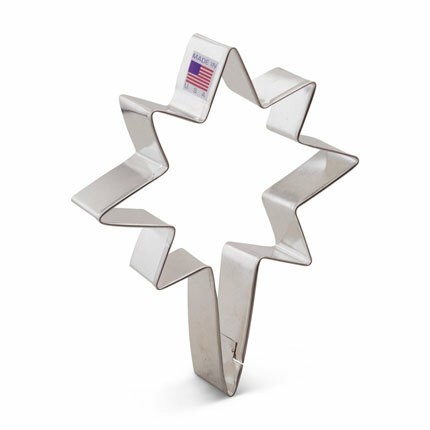 Experience the peace of the season with our 4 3/4" x 3 3/4" Bethlehem Star Cookie Cutter. 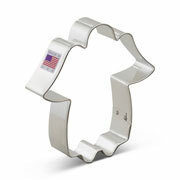 This is a pretty shape to hang on your tree or to make cookies for a holiday party. 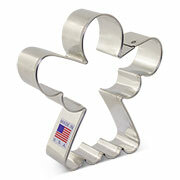 Size: 4 3/4" x 3 3/4"
Size: 3 5/8" x 3 1/2"
I bought these cutters for gifts for the holidays. Everyone loved them. They are beautifully made with beautiful designs! I know everyone is excited to use them. Including myself! Will be baking soon! 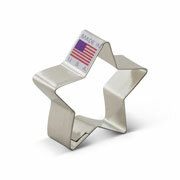 Absolutely love this cutter. Great quality.